During BLACK DIAMOND Drytoolcupu 2013 we have prepared two competitions that are open to everyone, therefore athletes , referees , spectators and circuit breakers . Note that the deadline for both competitions will be tomorrow Saturday, 7 December 2013 at 16:00 . Plays with valuable prizes from our partners. 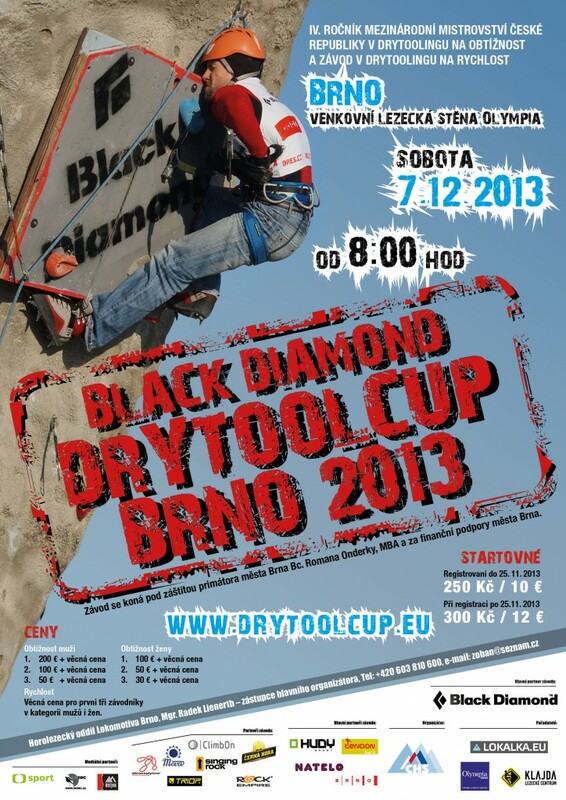 The first competition, which already runs a longer time, picking , Who is this year’s main climbing ” star ” poster BLACK DIAMOND Drytoolcupu 2013. So if you know who they are , write his name, or at least přeznívku the e – mail zoban@seznam.cz and as the subject of mail Write drytool competition . Responses can also be deposited in the office in writing of the race and on Saturday until 16:00 . We play on a rope TENDON 70 mA consolation prize TENDON ropes of 30 m will draw lots immediately after the announcement of the winners and the Prize is necessary personal involvement . The second competition is the classic raffle with valuable prizes from our partners BLACK DIAMOND, TENDON , Natel , Montenegro , Singing Rock, HUDY sport , ROCK EMPIRE , DIRECTALPINE . On the day you pick up the ticket office race competition , fill them correctly answer the question how much is on the wall log BLACK DIAMOND and take it back to 16:00 at the race office . A raffle will take place after the announcement of the winners , a condition for the receipt of the prize is personal presence.